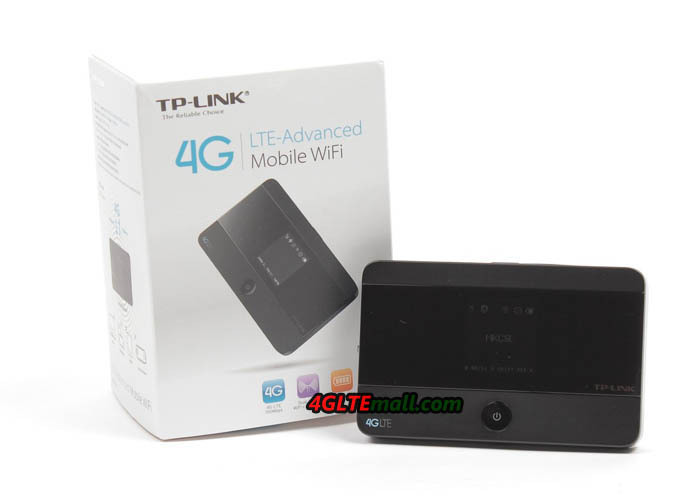 The WLAN module in the TP-Link M7350 transmits both 2.4 GHz and at 5 GHz. The range is naturally limited in comparison to an ordinary wireless router for stationary use, but perfectly adequate for most usage scenarios. So you can still enjoy surfing through two “normal thick” walls and about 5 meters (in the 2.4 GHz band). On the body side of the M7350, there is a menu button, which can be used in conjunction with the power button on the front to operate the equipment. A few important functions can be controlled so easily without the web interface. 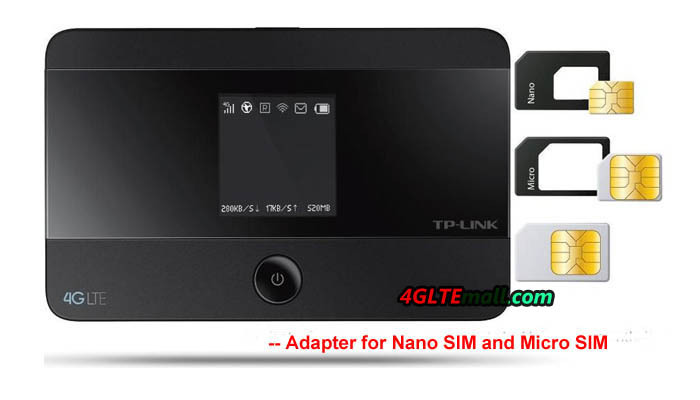 So you can see for example Wi-Fi SSID and password on the display to connect devices with the TP-Link M7350 quickly and easily. 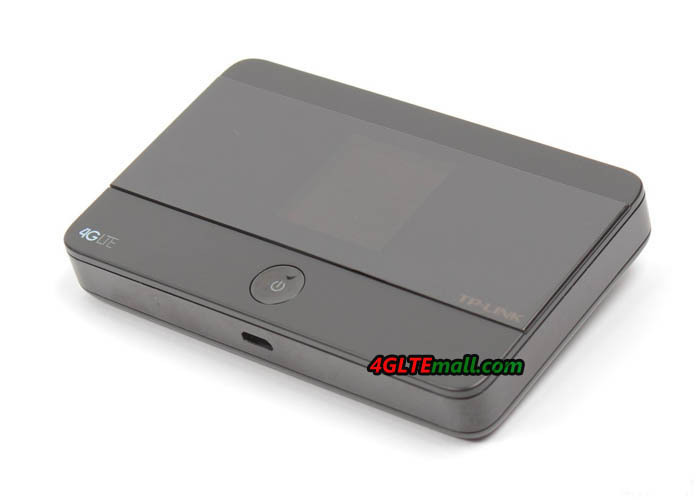 The second menu item in the device allows the choice of wireless frequency band (2.4 GHz or 5 GHz) and the third is for you to enable or disable the roaming mode. Particularly interesting is the ability to set the network mode directly on the device (eg “LTE only” or “UMTS only “). This can be useful in some regions when the hotspot constantly switches between the mobile technologies. The web interface allows all advanced settings options. 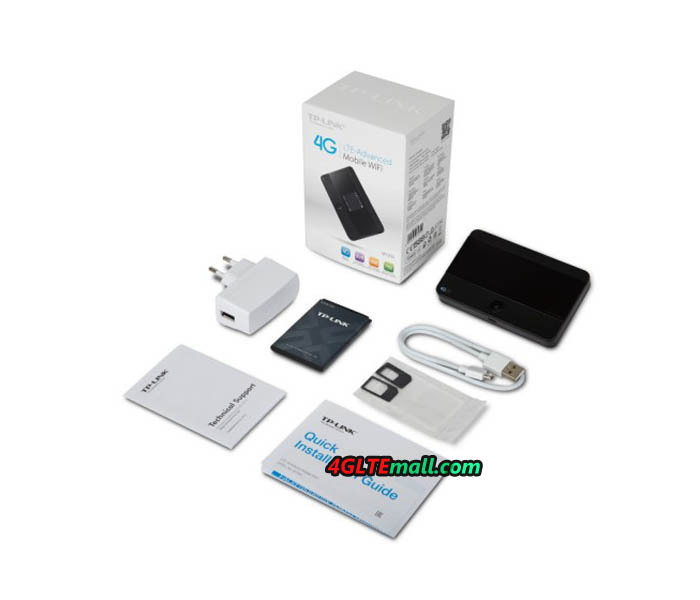 It can be reached via http://tplinkmifi.net and is very quick and easy to use. The design is clear and the functions are easily accessible. Overall, the functions are not as extensive as the web interface of a Netgear AC785s, but all the important settings are available. 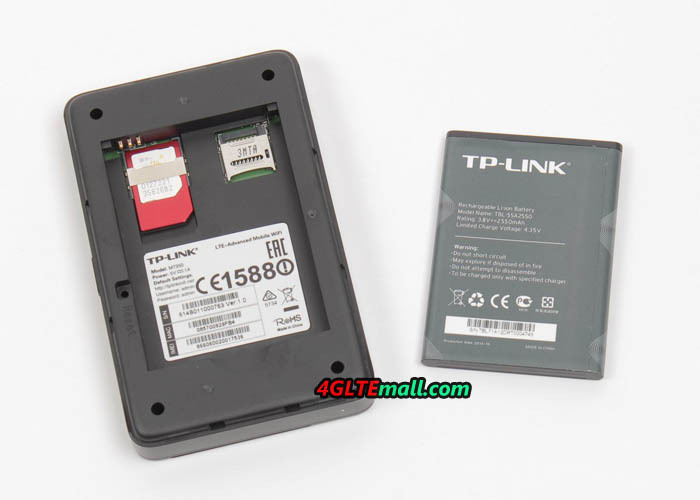 The TP-Link M7350 battery could last continuous use for about 6-7 hours and can be recharged via microUSB connector. In practice, the WLAN switches off automatically when it’s not in use for about 15 minutes. Thus, the unit saves energy. If you want to surf again, you must briefly press the power button only once.